Chop the onions and green chillies. Boil the potatoes, peel the skin and chop them into chunks. Heat oil in a pan, add the mustard seed, when they stop spluttering add urad dal followed by curry leaves. Add chopped onions , saute until they turn translucent. Add chopped green chillies and saute for about 2 mins. Add the potatoes along with salt . looks tempting dear! I like it! 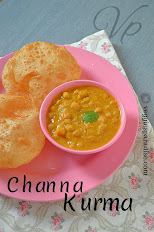 My fav, love it with rasam or sambar rice..
this is realy new to me but looks simple and delish ! WOW..I really love podimas..looking so tempting. Simple and delicious recipe.. looks gr8 !! New dish to me but looks delicious! suitable dish to taste with sambar and tamarind gravy..
Wow! It looks very yummy and scrumptious! Yummy and delicious recipe.. looks very tempting !! 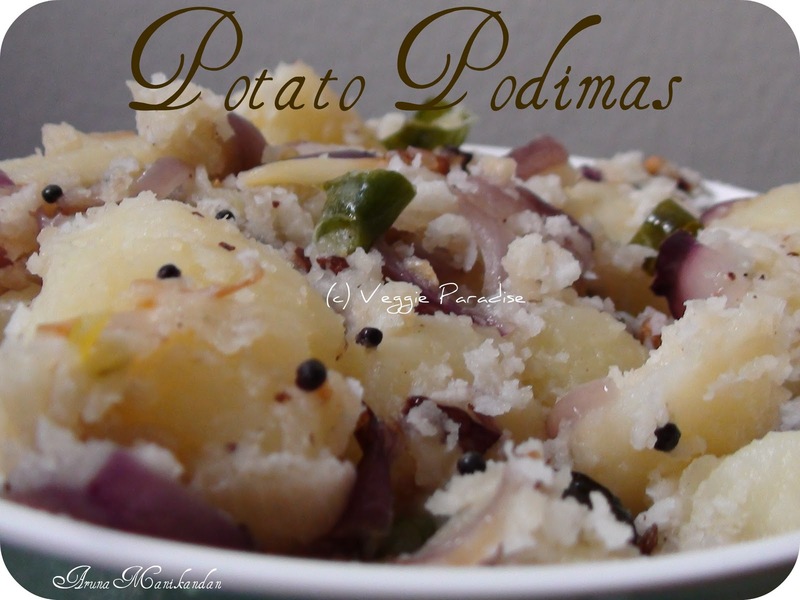 Podimas with potato sounds very yummy..have always tried it with plantain..lovely clicks. 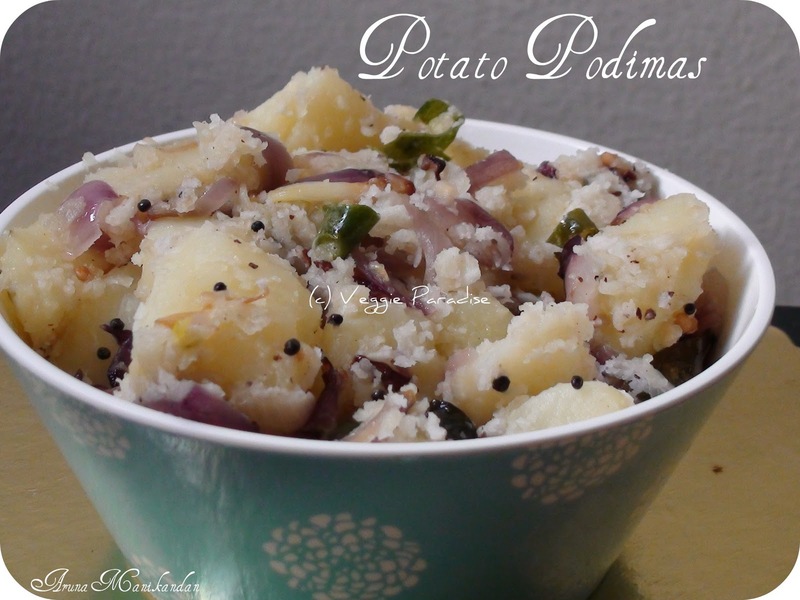 Simple yet tasty..love potato podimas. made it just y'day...I am a potato girl too...cant resist!...too yummy and tempting! Wow....so easy to make & so delicious!! Love the podimas a lot.will be apt for any spicy curry. Potato podimas looks awesome. my aunty makes very nice dish. What a delicious potato dish! Love the green chiles in it! I make this with plantain. looks very nice. looks good dear. i can so have it now. south india dishes rock! very yumm.. love it..i make them with raw banana..